Posted on Wednesday, August 6th, 2014 at 5:23 am. When you are conducting a training session, you can use questions to open discussions, to lengthen it and/or to close it. If you are looking to enhance your skills as a trainer, consider participating in Train the Trainer Training Course from pdtraining in Manhattan, Dallas, Los Angeles and other cities in the U.S.
To conduct a successful training session, a trainer needs to make use of various tools. Questions are one such tool. Questions can be broadly categorized into: open questions and closed questions. Depending on what you want to achieve, you can conveniently use questions to get the trainees to participate, close off a conversation/discussion, start a conversation/discussion, and to navigate discussions. How did you decide on that? Which of you believe in the power of body language and why? Who would like to conclude this interaction? Shall we conduct the activity now? Are you aware of the process to run this program? Do you know how to conduct this experiment? Is there consensus on that? They provide you with facts. They take up less time. People who are reserved are more willing to answer closed questions than open questions. The trainer retains control of the conversation. 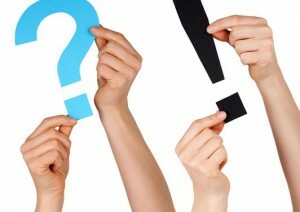 Both open and closed questions can be used in a training session to initiate conversations and to close them off, respectively. To control communication during a class, questions can be a useful tool. There are also other kinds of questions, such as clarifying questions and probing questions, that trainers can use to manage their class more comfortably.